The advantage to backyard farming is that you can ramp it up or down, depending on your financial needs at any given time. If you don't use it to provide your full-time income, you can use it to fund a short term goal. Here's that corner where the future hot tub will go. It's about 500 square feet. That's half a SPIN segment. 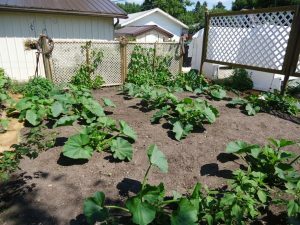 If you plant 20 to 30 squash plants in that sub-segment you can sell it to friends and neighbors or to another farmer who can sell it to their customers. 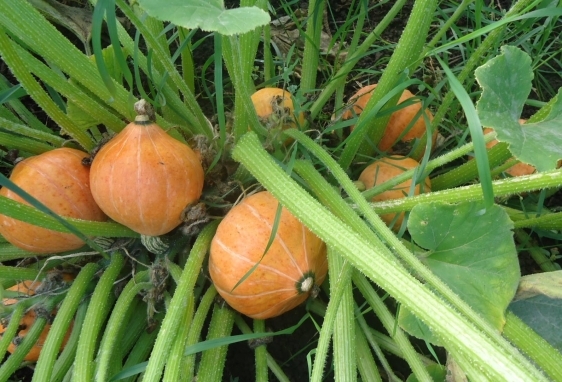 A good type to grow in this context is Golden Nugget winter squash, which is a prolific bush type plant that doesn't vine out like other squash, so it's good for compact spaces. Can My 2,700 Sq. Ft. Garden Support a 20 Member CSA?